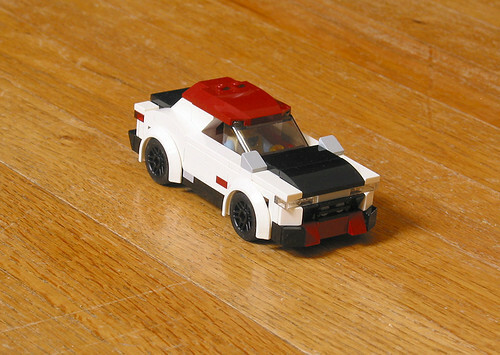 This is my attempt at recreating the Nissan IDx concept, at minifig scale. 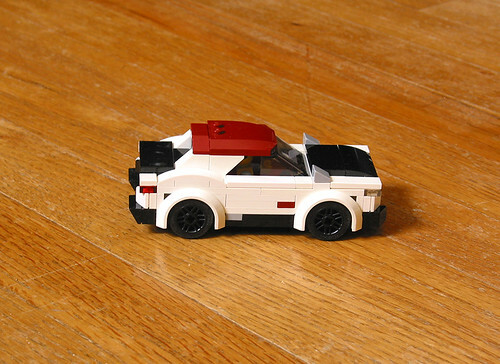 I was going for capturing the overall feel of the real car; it's tough to be more accurate at this size. 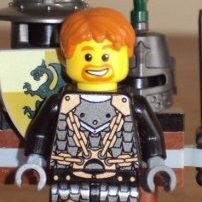 And my philosophy with builds is that you have to be able to play with them, so pieces that aren't secure for the sake of aesthetics is unacceptable. I'm sure that's been debated, but it always irks me to see a build that falls apart the moment you pick it up, as cool as it may otherwise look. Nice attempt! By the way, I really like your city style vehicles. Great copy of the real thing 'Rodomonte', Brick On Drive On ! 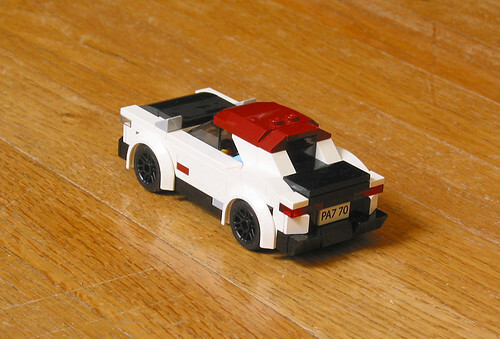 I agree wholly that it is difficult to recreate a car correctly when building in minifig-scale, and that it is more about capturing the essence of the car you're aiming for. If I had known of the Nissan IDx before, I would definetly identify your MOC as it, if not heavily based on it, at least. I think it looks great, and the only thing I might've changed, would be to use white slopes w/ cutouts (92946), to reduce the depth of the B-pillars, to closer approach the IDx' design. Right now it looks closer to the original GT-R, and that is not a bad thing.